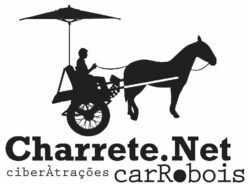 The ciberÀtrações charreteNet (wagoNet cyberAtractions) started in 2011 as an activist urban art project engaged on strengthening social bonds between cultural agents and peripheral communities in Uberlândia, Brazil. Inspired by The Cyborg Manifesto, we assembled our own: a horse, a wagon made from recycled materials, a couch, artists, activists, smartphones, cameras, a megaphone, gifts,and precarious wifi connection. 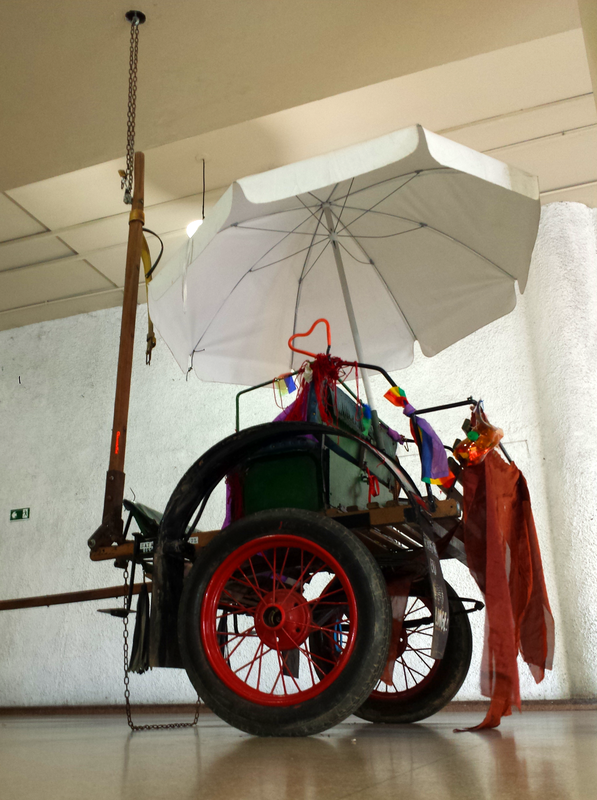 In 2014, winning the Funarte Prize, we took the same wagon across cities of the Federal District, and of Belo Horizonte’s metropolitan area. Each tour starts with the choice of the horses and coachmen following ecological criteria of animal health and social representation among their local communities. The itinerary was decided online through contacts who identified with the political aspects of the project, and agreed to host us at their offices, houses, communities centers etc. The slow journey is moved by barter-happenings, in which people can trade all kinds of stuff, actions and objects, provisions and rules: hosting our horse and us, a establishment may get advertising; or giving us your art product you can choose another cds, paintings or books from other artists participants; dancing, singing, reciting you may get even another live performance from our invited guests. In a “Do-It-Yourself” style and with the peripheral city as sensitive territory, CharreteNet promotes a confrontation between “globalized powers and the tenacious local senses” (Bauman, 2009: 35) – in two-way relationships, based on networking with independent artists and cultural promoters.